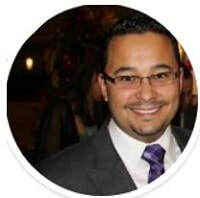 Javier is a bi-lingual finance and operations executive who has successfully managed top 500 fortune companies along with its revenues, costs, M&A transactions, supply-chains, marketing and capital investments specialized in banking, digital marketing, technology wholesaling, and professional services. Javier has implemented and migrated complex financial structures to and from Latin America while successfully supporting global corporate objectives. He has worked very closely with CEOs, CFOs and CMOs to fund the launch of multi-country campaigns by leveraging his strategic, analytical, and international strengths. Javier understands the importance of the marketing function within any organization and helps build complex pricing tools in order to facilitate closing budget sensitive deals while increasing value to the customers and stakeholders.